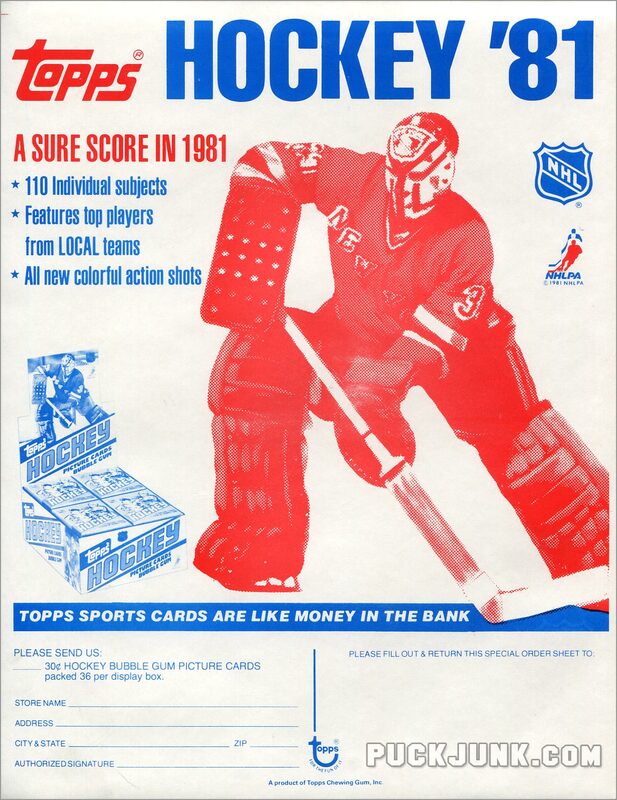 This simplistic, two-color sell sheet was used to solicit orders for 1981-82 Topps Hockey cards. 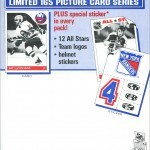 It measures 8.5″ x 11″ and features a monochromatic photo of New York Rangers goalie Doug Soetaert.The same picture would also be used on boxes of 1981-82 Topps Hockey cards. 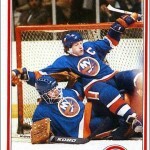 Ironically, Soetaert would not appear in Topps or O-Pee-Chee card sets that year. 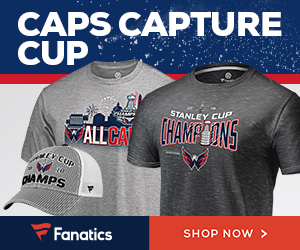 Note the emphasis on “LOCAL” teams. 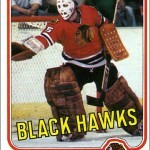 Topps tried something different in their 1981-82 Hockey set. 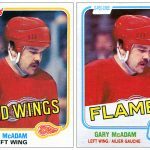 Wax packs sold in Campbell (Western) Conference cities had some some different cards than packs sold in Wales (Eastern) Conference cities. Cards 1-66 were the same regardless of region, but cards 67-132 differed depending on where you lived. 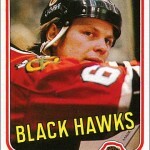 For more about this, check out this review of the 1981-82 Topps Hockey set. The bottom of the sell sheet states “Topps sports cards are like money in the bank.” In the lower right corner is a blank area where a distributor could stamp their contact information for placing orders. 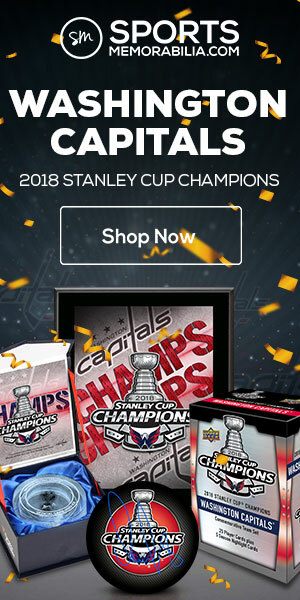 The back of the page is blank, which seems like a missed opportunity; maybe a player checklist or some pictures of what the cards were going to look like would have helped stimulate sales. This is very different from sell sheets from the 1990s, that were usually two or four pages and printed in full-color.